We all have our hang-ups and stressors, but have you ever wondered why someone is afraid of speaking in front of a large group and someone else may be stressed out at the idea of flying? It really comes down to cellular memory. Our body’s cells record everything that has happened to us; essentially storing our life experiences into the cells of our body. That can be a comforting thought when learning to master a new skill – like riding a bike or learning a foreign language; but can be a bit discomforting when you realize your cells are also storing your fears, worries and trauma. These cellular memories are the cause of most of the stress in our daily lives and can hold us back from our true potential. They also manifest as physical symptoms such as eczema, digestive discomfort, headaches and sometimes even serious health issues. I have been helping people heal their traumatic cellular memories through my Stress Management sessions and the results have been life changing. During private sessions, we discuss what’s bothering you and through muscle testing identify precisely when they were encoded into your cellular memory. Through prayers and other techniques the stressors are gradually reduced during the session until they become neutral. This means that we are not forgetting or erasing uncomfortable memories but rather transforming the impressions into a vantage point that allows us to observe the memories without the raw emotions; but rather with a unique perspective that allows us to heal. Did you know that oftentimes, cellular memories are passed down biologically from our parents or sometimes even encoded so early in our lives that our conscious minds aren’t aware of the origins. Researchers in the field of behavior epigenetics understand that traumatic experiences from our ancestors’ past actually leave molecular scars that adhere to our DNA; allowing us to inherit ancestral predispositions. Sometimes these predispositions are positive such as resilience and joy, but sometimes they can include anxiety and depression. Once the negative behavior epigenetics are addressed and cleared at the cellular memory level; our present day stress is reduced. With less stress, our bodies function better and the physical manifestation of that specific stress usually disappears. Since we have many cellular memories that are related to stress, clearing them systematically allows us to feel peace, joy and optimal health. During the sessions, I track the cellular memories, the reasons for them and the level of clearing so that we can monitor your progress and healing. Most clients feel immediate stress reduction after just one session. Interesting article and the link to the article about inheriting grandma’s experiences was fascinating. Glad you enjoyed the post Irene! I think it’s amazing that we carry forward so much information from our past through cellular memory. 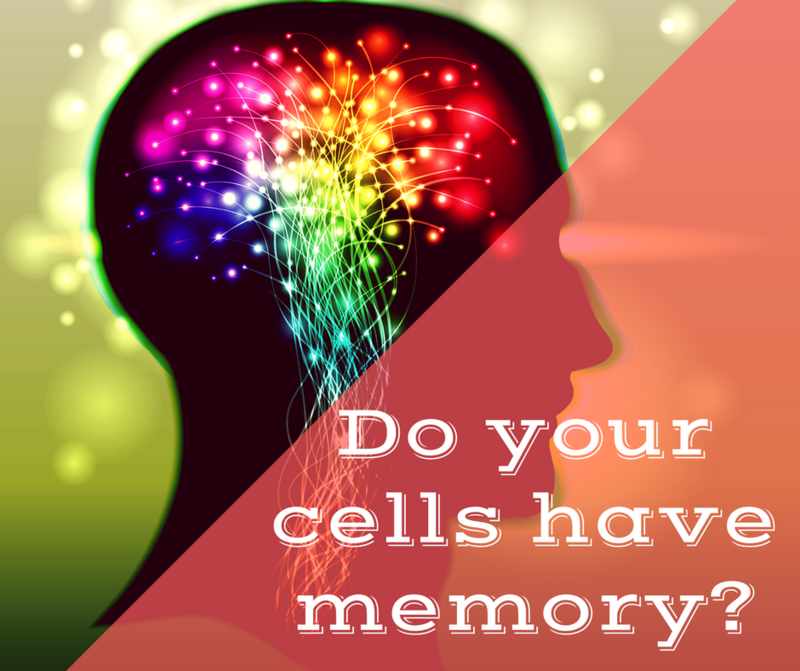 I have wondered about our cellular memory and how it impacts our physical and mental health. This article is interesting and should be consider to be part of our healing protocol. I agree Deborah! I see the most rapid healing when I use emotional detox with my clients. This should be a part of self care taught to every child.